We’d love your help. 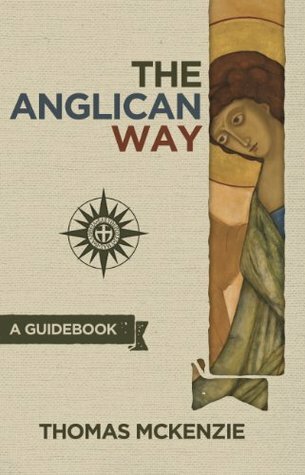 Let us know what’s wrong with this preview of The Anglican Way by Thomas McKenzie. The Anglican Way is a guidebook for anyone interested in following Jesus as an Anglican Christian. Written for both the newcomer and the person who wants to go deeper, this book answers hundreds of questions about history, theology, worship, and more. Learn about this ancient but fast-growing branch of the Body of Christ. Let this guide help you as you walk the Anglican Wa The Anglican Way is a guidebook for anyone interested in following Jesus as an Anglican Christian. Written for both the newcomer and the person who wants to go deeper, this book answers hundreds of questions about history, theology, worship, and more. Learn about this ancient but fast-growing branch of the Body of Christ. Let this guide help you as you walk the Anglican Way. To ask other readers questions about The Anglican Way, please sign up. For years I have yearned for the reverence and the liturgy missing from most Protestant churches. Living in an area heavily populated by Southern Baptists, learning how to incorporate this into one’s worship of God is hard to do. This book has solved that problem to some degree. While “a guidebook,” as it’s labeled, certainly cannot replace a community of believers that worship in the same way, it has served to alter how I look at my relationship with God and my treatment of that relationship. T For years I have yearned for the reverence and the liturgy missing from most Protestant churches. Living in an area heavily populated by Southern Baptists, learning how to incorporate this into one’s worship of God is hard to do. This book has solved that problem to some degree. While “a guidebook,” as it’s labeled, certainly cannot replace a community of believers that worship in the same way, it has served to alter how I look at my relationship with God and my treatment of that relationship. Thomas McKenzie lays out the history, beliefs, and traditions of the Anglican Church in a clear and concise manner. Writing in an easy to understand fashion, he doesn’t talk down to newcomers. He explains the liturgical calendar, the Eucharist, prayer, and hospitality (among other things) in such a way as to show them possible for even one home to live it out. McKenzie’s explanations cleared up a lot of misconceptions and left me with more questions and topics to research. “The Anglican Way” also gave great insight to the writings of a favorite artist/thinker, Andrew Peterson. If his music has shown God, it would make sense that his priest would have a similar way of reflecting that grace. Even if I weren’t interested in changing my pattern of worship or incorporating historical traditions, “The Anglican Way” reminded me of unshakable truths. And sometimes we just need that reminder. I enjoyed this book. I have listened to the author on Church of the Redeemer Nashville’s podcast and enjoyed his sermons. Until reading this book I had very little understanding of the Anglican Church and I now understand that I held many misperceptions. It was easy to read and I learned a great deal. This book is incredibly good. I'm normally the world's slowest reader but I burnt through this in... *checks Goodreads*... sixteen days. Thomas McKenzie writes in an incredibly clear and readable manner. And for me, a newcomer to Anglicanism, the content was just so insightful and interesting. My favorite part of the book was the first section, in which McKenzie explains Anglicanism as encompassing many different facets of Christianity—all godly and good but limited when held in isolation—using t This book is incredibly good. I'm normally the world's slowest reader but I burnt through this in... *checks Goodreads*... sixteen days. Thomas McKenzie writes in an incredibly clear and readable manner. And for me, a newcomer to Anglicanism, the content was just so insightful and interesting. My favorite part of the book was the first section, in which McKenzie explains Anglicanism as encompassing many different facets of Christianity—all godly and good but limited when held in isolation—using the image of a compass rose. These facets are: catholic and evangelical, charismatic and orthodox, contemplative and activist, and conservative and liberal. I'd honestly normally expect such a framework to be an oversimplification based on buzzwords, but in this case each facet is actually a discrete property emphasized in some churches and not others. McKenzie gives great anecdotal examples of each and makes a strong argument for the "Anglican way" of holding all of these values in right tension. But this part of the book, Anglicanism aside, also just gives any reader a really useful framework for thinking about the Christian Church and realizing that it's broader than any individual one of these facets. I think this framework is incredibly useful for any Christian, not just those specifically interested in Anglicanism. I would probably really be giving this book 4.5 stars, but I'll round up. I rank it highly because it really impacted me. The book first tackled what is meant by the "Way" of Anglicanism and then dives into Anglican distinctives and philosophy. He uses a compass rose image to show how Anglicans are found on a spectrum of beliefs, but all can be characterized as evangelical, catholic, orthodox, charismatic, activist, contemplative, conservative, and liberal. The tension or seeming contradiction i I would probably really be giving this book 4.5 stars, but I'll round up. I rank it highly because it really impacted me. The book first tackled what is meant by the "Way" of Anglicanism and then dives into Anglican distinctives and philosophy. He uses a compass rose image to show how Anglicans are found on a spectrum of beliefs, but all can be characterized as evangelical, catholic, orthodox, charismatic, activist, contemplative, conservative, and liberal. The tension or seeming contradiction in these terms is what make up the opposing poles on the compass. Yet the author explains how these varied labels can be held at the same time to define Anglicans. The next section of the book explains how to follow the Anglican Way at home and in your personal life, and then discusses the various elements of the Anglican church and their sacraments. Lastly, the book ends with a few "hot button topics" and includes references like a timeline of the church history and a glossary to understand terms. An interesting book as someone that has come to the Anglican church in the last couple of years. I would like to be able to recommend this book. The Anglican Way by Thomas McKenzie is an overview of Anglican spirituality, worship, devotion, theology, and practice. Fr Thomas is the first pastor of Church of the Redeemer, Nashville. In the name of full disclosure, Thomas writes with me at AnglicanPastor.com, and is a friend. He asked me to read the original manuscript version, and we had several conversations about this project as it was in progress. So this will be a friendly review, but I’ve left nothing out that I think about the book, and all that I express is true to my perspective on the book. He hasn’t paid me anything for this review, but he did try to bribe me with a signed original vinyl 1547 edition of Thomas Cranmer’s Greatest Hits. I turned him down because I already had the 8-track tape. The Anglican Way is well titled. This book is about a way. It invites people to an experiential journey with the Anglicans. It is also truly a “guidebook.” You can skip around in it like you would a Travel book. But its also easy to read through cover to cover. It will work best for someone who is actually visiting or regularly attending an Anglican church, although others would profit as well. As a pastor, I think this is very important, because our faith is shared in community. Thomas avoids the temptation to turn Anglicanism into a subject to merely be dissected, instead choosing to be a guide along the way as someone is seeking to be formed as a Christian, and as an Anglican. Its so very difficult to summarize Anglican experience. There are the various streams, parties, and perspectives–not to mention liturgical approaches. This book does it though. It is non-partisan, but still confident and clear. I think it would be useful to every “stream” as a basic introduction. The main reason it succeeds in this is that it spends more time on what we affirm, than on what we deny — and almost completely avoids our speculative theologies. Fr Thomas starts with the Compass Rose as a memorable tool for holding together an understanding of how Anglicanism can be both diverse and yet centered at the same time. Working through the kinds of things that most evangelicals think are binary opposites (such as Catholic-Charismatic or Liberal-Conservative), he systematically shows how, within the central circle of the compass (Christ/Creeds), these things can not only hold together, but also temper and correct one another. He tells personal stories from pastoral ministry, an approach which I think is the best part of this book. This is flowing from his care for his people, and his desire to share the Anglican Way with them. He then works though the devotional and worship life of the Anglican church, including the seasons and Sunday worship. This is followed by a succinct discussion of various contemporary issues, in which he shows his ability to say enough without saying too much. Most of these sections call for further study, but few of them miss any important points. This book is also a great tool for Christian Formation and group study. With confirmation class, you could start at the beginning and work your way toward the Church Year. Ideally, you might time it so that class walks through Holy Week with the book. With a newcomer’s class, I would recommend starting with the Sunday worship section, then moving backwards to the Church Year, and then finally the Compass Rose. Newcomers and new Anglicans will naturally focus on what the first experience, which is usually the Sunday worship service. I can also see using this book for retreats. The Compass Rose section could be used to help people think individually about their own gifts, perspectives, and experience. Then it would guide them in learning about the experiences of others. This would go a long way in helping Anglicans to appreciate our differences, even as we affirm our center on Christ and the creeds. I think this Compass Rose model would be useful to any Christian church as well (with the caveat later in this review in mind). The sections on Sunday worship, the sacraments, and the church year are of most interest to me personally. These sections will guide people into a basic, mostly descriptive, understanding of these areas. Very few of us know how to explain worship and sacraments without unintentionally removing the sense of mystery, or accidentally becoming overly theoretical. Thomas shows his pastoral side here, but undergirding it is a broad knowledge of the tradition and of basic Christian sacramental theology. Many new Anglicans reading this will want to do further study, and some will feel that they’ve received enough explanation–but all will be inspired to actually receive the sacraments reverently as a mystery and to focus on God and his presence in worship. Some readers will wonder why Thomas doesn’t spend a lot of time on inter-Anglican wars and controversies. He doesn’t have three chapters devoted to the Instruments of Communion or various views on women’s ordination (although they are discussed briefly). Instead, he chooses to focus on what’s really important: our faith in Christ, our worship of God, and our life together. Some will wish he had more material on these arguments, but I think he made the right choice. Its time for us to move forward, not as an opposition group, but as a Christian communion. Thomas doesn’t ignore the reality of a fractured Communion, but he doesn’t unnecessarily focus us on it. First, Anglicanism is not “a protestant denomination” except as a comparative descriptor. Use a sharpie to cross out that phrase on the two pages where it exists. Then write in “a Christian communion” instead. But don’t burn the book over this. We’ll create an online petition to change it for the second edition. Second, I have to admit that I want the Sunday worship service at the front. This is because experientially that is what visitors and newcomers interface with the most. I also think it might move us even more away from thinking of Anglicanism as a “thought system” and to more of a “worshipping community” if the worship sections were first. But as a guidebook type book, it would be easy to start there, and then move back and forth from there. Third, the Compass Rose device is very helpful as a didactic tool. But we have to be careful not to think of the points as actual linear polarities. I would want to make sure that folks understood that it is a useful tool, but that there is also an overlapping circles aspect - with various overlapping permutations. Not to overcomplicate a metaphor, but the circle representing where a person or a church is on each line (rather than just the polarities created by imagining each line independently) would be helpful in making sure we aren’t thinking in too “binary” a way. This is not so much a criticism of the use of the compass rose, but a caution, to make sure folks don’t overly literalize it, and that they take it one step further and see all of the points of their experience as creating an overlapping circle with other Anglicans. For many years people have asked for the “one book” that overviews Anglicanism. I’ve always ended up recommending three and a half books, with various chapters crossed off in each one, and a few charts and handouts, with copied chapters. Some books are irrelevant due to Anglican re-alignment. Others are trying to be vague about orthodox faith. Still others are too partisan, trying to recruit new Anglicans to one of the various parties, rather than simply overviewing our communion. Most are not devotional at all, and the few that are devotional tend to play down Anglican distinctives altogether. In other words, I haven’t been able to offer them a book. But now I can hand them this book. It explains the Anglican Way. It is Christ-centered. It is devotional. It is basic, but covers all important areas. And its full of personal illustrations and stories, making it fun to read. Sure, some folks will want to follow up on this or that area. But after having read this book, they will indeed have a solid, basic overview of our tradition. So for my part, this is the book I plan to hand people or use in group settings as the “one” book. A good introduction to Anglican practice. The author takes a somewhat hostile view of The Episcopal Church and other “liberal” traditions, but acknowledges the bias and isn’t abusive, just insistent on his correctness in the matter. A good read even for liberal Anglicans, as long as they have a thick skin. Well done, Fr. Thomas. Super informative. Approachable and digestible for me -- I am not Anglican & was raised in the Southern Baptist and Presbyterian churches. Short Review: This is intended to be an introduction to Anglicanism for new converts, but also would make a good discussion book for an adult eduction class. Because it is newly written, it feels fresh and recent, while communicating the weight of the tradition and the importance of Anglican distinctives. I have read other similar books for other Christian traditions and few of them are able to communicate their own tradition without condemning other traditions, but this one is gracious, pointin Short Review: This is intended to be an introduction to Anglicanism for new converts, but also would make a good discussion book for an adult eduction class. Because it is newly written, it feels fresh and recent, while communicating the weight of the tradition and the importance of Anglican distinctives. I have read other similar books for other Christian traditions and few of them are able to communicate their own tradition without condemning other traditions, but this one is gracious, pointing out differences without condemnation or triumphalism. McKenzie is writing as a conservative Anglican in the US that has left the United States Episcopal Church, although he clearly states that many Episcopals are orthodox Anglicans. There is a short section on the history of that divide that I thought was helpful. This is a wonderfully accessible yet detailed guide to the Anglican Church. McKenzie does an excellent job of helping the reader to understand the theological richness and holistic Christian spirituality that the Anglican way offers. I appreciated his very ecumenical attitude. The timelines and reference sections were helpful bonuses. Highly recommended!! A reasonably thorough overview of the Anglican distinctives, highlighting the flexibility within its boundaries. It's honest - but gracious- about those churches and leaders who are still labeled Anglican or Episcopal, but have clearly departed the faith. This seems like a great intro to the denomination that answers many typical questions. An informative, readable, and much-needed one-stop primer on Anglican tradition and practice, The Anglican Way is an indispensable resource for anyone interested in learning more about this "way" of being Christian. Great introduction. As an Anglican Priest, I will certainly be recommending this book to people interested in, or beginning to follow Jesus in "the Anglican way." Extremely helpful overview of Anglicanism and the cornerstone of my study on the subject. The first book I'd give to anyone interested in Anglicanism. Read it and rejoice. Good overview of Anglicanism in theory and practice. The author is an American Anglican priest whose church is under the auspices of an African bishop since the schism in the Episcopal Church. A little bit of history, some focus on what makes Anglicanism unique, and a taste of their theology and beliefs. Not all that different from Catholicism, really, with the exception of the whole Pope and Magisterium piece. I walked away from this book knowing more than I did when I started reading it, so th Good overview of Anglicanism in theory and practice. The author is an American Anglican priest whose church is under the auspices of an African bishop since the schism in the Episcopal Church. A little bit of history, some focus on what makes Anglicanism unique, and a taste of their theology and beliefs. Not all that different from Catholicism, really, with the exception of the whole Pope and Magisterium piece. I walked away from this book knowing more than I did when I started reading it, so that's good. Most of the Anglican church is in Africa, so I understand that those bishops have a lot more cache than do the American and European bishops whose diocese and regions are a fraction of the size, people-wise. Anglicanism is nearly dead in Europe, and the American branch--Episcopalians--are not far behind. The future of the Anglican Church lies in the southern hemisphere. I have been thinking about the difference between liturgical churches vs. independent churches (or non-liturgical churches). It seems to me that, for the most part, liturgical churches--Catholics, Anglican, Lutheran, United Churches of Christ, Methodists--are dying while non-liturgical ones--Evangelical, Pentecostal, etc.--are thriving. Catholicism is growing in the global south, but withering away in the global west. I wonder why that is? Conservative Christianity is growing (at least in the global south) while liberal Christianity is drying up and blowing away. I read this to prep for ordination exams. Helpful book. Happy to recommend this to folks interested in learning about Anglicanism, esp the ACNA. Caveat is I'm not really convinced by the "compass rose" stuff, which seems a little arbitrary to me. It's interesting, but it's also inherently a little procrustean/revisionist (e.g., it's one thing to say there's room in Anglican theology for a charismatic strain, but another to insist that it's as much a part of our identity as the Anglo-Catholic or r I read this to prep for ordination exams. Helpful book. Happy to recommend this to folks interested in learning about Anglicanism, esp the ACNA. If you are interested in becoming Anglican, or simply want to understand the beliefs of Anglicans better (which is the 3rd largest Christian denominational affiliation in the world), this is a great go-to book! It's an excellent summary of the Anglican approach to the Christian faith. It's very readable and arranged by topic, which makes it an excellent resource. It even has a handy glossary of terms in the back. One of the most helpful chapters for me was a description of a typical Anglican wors If you are interested in becoming Anglican, or simply want to understand the beliefs of Anglicans better (which is the 3rd largest Christian denominational affiliation in the world), this is a great go-to book! It's an excellent summary of the Anglican approach to the Christian faith. It's very readable and arranged by topic, which makes it an excellent resource. It even has a handy glossary of terms in the back. One of the most helpful chapters for me was a description of a typical Anglican worship service with communion (or Eucharist). Having visited some Anglican churches, I wasn't sure what others were doing, why they were doing it, or what I should be doing. This book helped explain much. Not being overly familiar with the actual practices and traditions of the Anglican Church, I found this brief yet thoroughgoing book to be just what I needed for my continuing investigation of the Canterbury Trail. A cursory, concise overview of Anglicanism. I’m an intrigued outsider, and this provided some helpful insight. The brief overviews on the theology and the denominational polity of Anglicans were the most helpful. This was a helpful introduction to basic tenets of Anglican theology, church history, and practices. The author is affiliated with the Anglican Church in North America (ACNA), and he explains the distinctive features of the ACNA, the Episcopal Church, and other provinces. An excellent overview of Anglican Christianity in all its variety, for anybody new to it or a long time member who wants a review. Written by a priest of the Anglican Church of North America (ACNA), currently serving a church in Nashville, TN. Wonderful introduction to Anglican thought, theology, and practice. I find Anglicanism fascinating and refreshing and worthy of consideration. An excellent gude to the Anglican Church by a Rector from Nashville, TN. Not intended to be an academic work, McKenzie explains many of the practices of the Anglican Way that would be puzzling to a modern person unfamiliar with this branch of the Christian Faith. Not picking sides on the issues facing the orthodox Anglican Communion, like women's ordination, etc., McKenzie is fair to both Anglo-Catholics and Evangelical Anglicans and everyone in between. This book answered nearly all of my questions about the Anglican way of being a Christian. Thomas McKenzie is able to explain matters simply without talking down to the reader. I thought this book would be merely informative, but it encouraged me in my faith. He did not dwell long on the problems in the contemporary Anglican church, and though it's possible to detect his opinion on many of the issues, I believe his treatment is fair. A very good book that is both enjoyable and educational. Accessible yet thorough, this book answers many questions and explores the wide array of beliefs and practices in this global church. It paves the way for assimilation whilst avoiding a sense of arrogance that Anglicanism is the purest form of the church today (as none truly are). Very helpful for those curious or considering Anglicanism. Extremely accessible and readable. I would recommend this to anyone who is interested in an Anglican 101. My only complaint is that I was looking for something more in depth. Perhaps it would be better for someone who is already Anglican, and lay person, and who wishes further to understand their practices. An outsider looking for substantial reasons for Anglicanism would do better to look elsewhere. Thomas McKenzie lives in Nashville with his amazing wife and two terrific daughters. He was born and raised near Amarillo, Texas. His Bachelor's degree is from the University of Texas at Austin, and his Master's Degree in Divinity is from Trinity School for Ministry in Ambridge, Pennsylvania. Thomas is a priest of the Anglican Church in North America and the Anglican Diocese of Pittsburgh. He's the Thomas McKenzie lives in Nashville with his amazing wife and two terrific daughters. He was born and raised near Amarillo, Texas. His Bachelor's degree is from the University of Texas at Austin, and his Master's Degree in Divinity is from Trinity School for Ministry in Ambridge, Pennsylvania.